Sherwood Country Club will host a grand reopening of its newly restored Jack Nicklaus Signature Golf Course located in Thousand Oaks, Calif., in early March. The three-day event will include a dedication ceremony and appearance by the Golden Bear. Nicklaus, the sports icon widely regarded as golf history’s greatest champion as well as one of this generation’s most acclaimed course designers, personally oversaw the original Sherwood layout that opened in 1989 and returned to play a key role in the restoration. The goal of the restoration was to modernize the course, tweak the design in areas to add even more playability for the membership, and implement significant agronomic improvements that not only allow the course to better accommodate the effects of a changing climate but will dramatically reduce water consumption. Nicklaus has made multiple visits to Sherwood, traveling hole by hole and redesigning them to, in his words, “make it play fairer and even more enjoyable than the original design.” Nicklaus will host the reopening event in March, which will be open to club members only. $10.5 million was spent on modifications to improve the infrastructure, irrigation, soil, drought-resistance capabilities and aesthetics of the 25-year-old course. The course will reduce water use by 20 to 25 percent. Sherwood Board of Governors President Rick Zeilenga says he is thrilled by the improvements made to the course. Sherwood golf pro Chris Mitchell says the changes made to the course infrastructure are thoughtful and enable the course to endure future challenges, such as drought. Mitchell and other club representatives accompanied Nicklaus and his design team on each visit, evaluating every hole in great detail. Some holes were left intact while others saw shifts in the positioning of bunkers and the size of sand traps, changes in green contours and green angles, and the addition of pin locations to provide greens more variety and less stress in certain area. The teams also created new forward tee markers, as part of the Tee It Forward campaign, and a great deal of time was spent adjusting the scorecard so players of all skill levels would play the appropriate tees. The Golden Bear, the 2014 Golf Magazine “Architect of the Year” has been designing courses for parts of six decades, and his résumé is rich with almost 300 golf courses worldwide. His firm, Nicklaus Design, has created almost 400 courses in 41 countries and 39 states. Of those, more than 100 have been ranked in national and international Top-100 lists and no fewer than 140—including a record 30 courses in 2015—have hosted a professional tournament worldwide or significant national amateur championship. 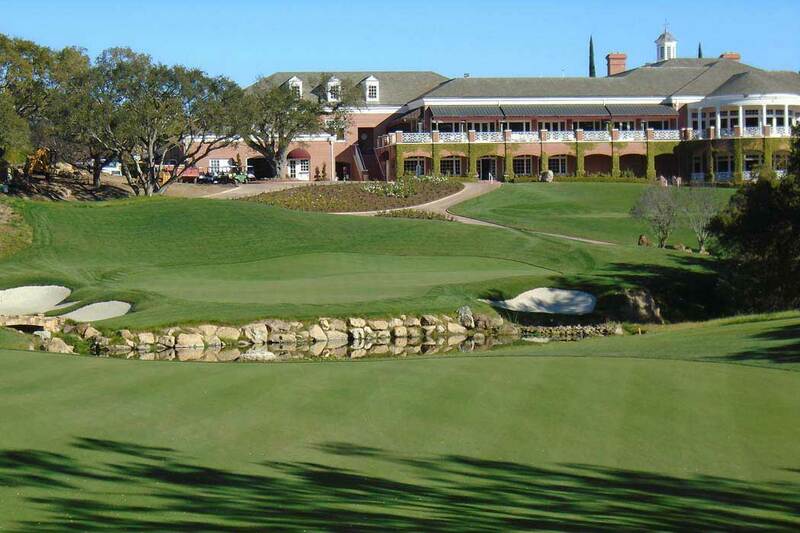 Sherwood Country Club has been home to no fewer than 25 significant events involving PGA Tour professionals, including tournaments hosted by Greg Norman and Tiger Woods. Additionally, the golf clubhouse and men’s locker room will be completely renovated and construction of a new fitness center is planned for later this year.